Tuff Love are Julie Eisenstein (guitar, vocals) and Suse Bear (bass, vocals) plus live drummer Iain Stewart (also a member of The Phantom Band). They come from Glasgow and they write dazzling, sun-streaked guitar pop songs with mesmerising lyrics, heart-wrenching vocals and dreamy melodies like the sound of pure summer. They make all their music in Suse’s flat, self-engineering and self-producing everything. Tuff Love are Julie Eisenstein (guitar, vocals) and Suse Bear (bass, vocals) plus live drummer Iain Stewart (also a member of The Phantom Band). They come from Glasgow and they write dazzling, sun-streaked guitar pop songs with mesmerising lyrics, heart-wrenching vocals and dreamy melodies like the sound of pure summer. They make all their music in Suse’s flat, self-engineering and self-producing everything. Following the release of their debut, Junk E.P., in May 2014 - on dazzling 10” white vinyl, via Scottish independent label Lost Map Records - the band embarked on tours of the UK and mainland-Europe, as well as enjoying an endless summer of festivals. A packed spring and summer of 2015 saw Tuff Love personally invited to support first reformed shoegaze legends Ride on their first UK tour in 20 years and then later their most famous fan, Scottish soul-pop singer Paolo Nutini, at a special one-off outdoor show at Glasgow’s Bellahouston Park (also featuring legendary disco queen Grace Jones). Adored by radio - and championed by the likes of Lauren Laverne, Steve Lamacq, Rob Da Bank, Huw Stephens, Gideon Coe, Vic Galloway, among many others - Tuff Love were filmed in session for BBC Introducing, and also performed as part of the BBC Academy series. The press have been equally smitten; with two separate features with The Guardian (“a band to fall in love with”), a 2 page interview in DIVA (“our new favourite indie band”), profiles in NME Radar (“great college rock”), Metro and Daily Record, amongst other national publications, and with the Junk E.P. receiving glowing praise across the board - both online and in print. 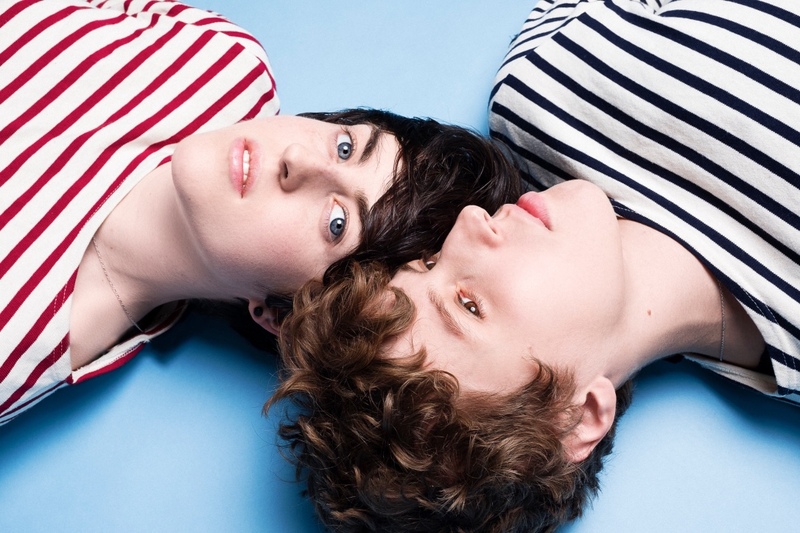 Tuff Love have played festivals including Glastonbury, T in the Park, Latitude, Wickerman, Indietracks, Long Division and many more. In November 2014 ‘Slammer’ – the lead single from the sophomore release, Dross EP – won the Rebel Playlist on Steve Lamacq’s show on BBC 6 Music by a landslide. That track and each of their new tracks released since, ‘That’s Right’ and ‘Groucho’, have subsequently been B-listed by BBC 6 Music. The Dregs EP is the latest, most confident-sounding and most compelling product of their increasingly sophisticated homespun craft – lo-fi in ethic but not in sound. From the distorted jangle of ‘Duke’, through the snapping ‘Crocodile’ with its wonderfully wonky outro organ solo and on to the woozily waltzing ‘Carbon’, Dregs is solid gold irresistible listening from first to last.